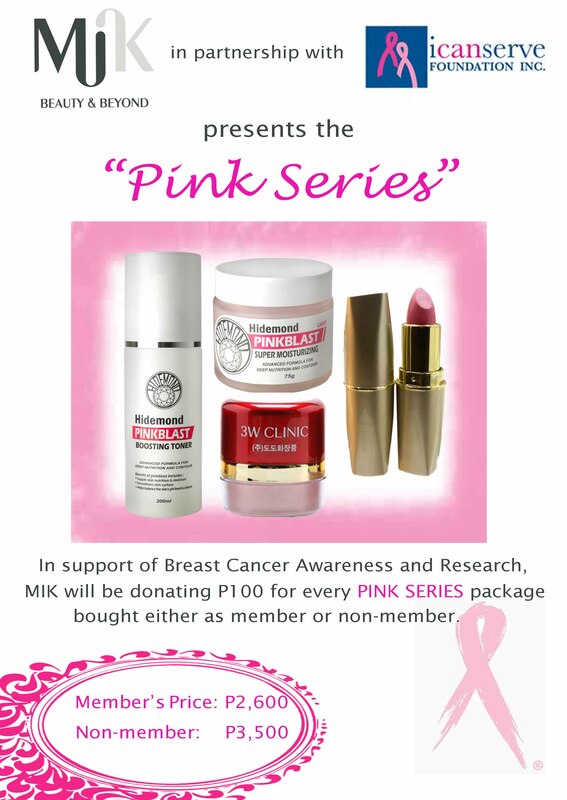 MIK, a Korean direct selling company, offers the Pink Series at a special price this October, for the benefit of ICanServe Foundation. The Pink Series includes the Pinkblast Boosting Toner, Pinkblast Moisturizing Cream, 3w Pink Blusher and a 3w Pink lipstick. Retail price for these four high quality products amount to P3,500. MIK makes these available to its sellers at P2,600 only. For every sale of the MIK Pink Series, MIK will donate P100 to ICanServe for the benefit of women at risk or those living with breast cancer. MIK carries skin care products and make-up designed for the working men and women. 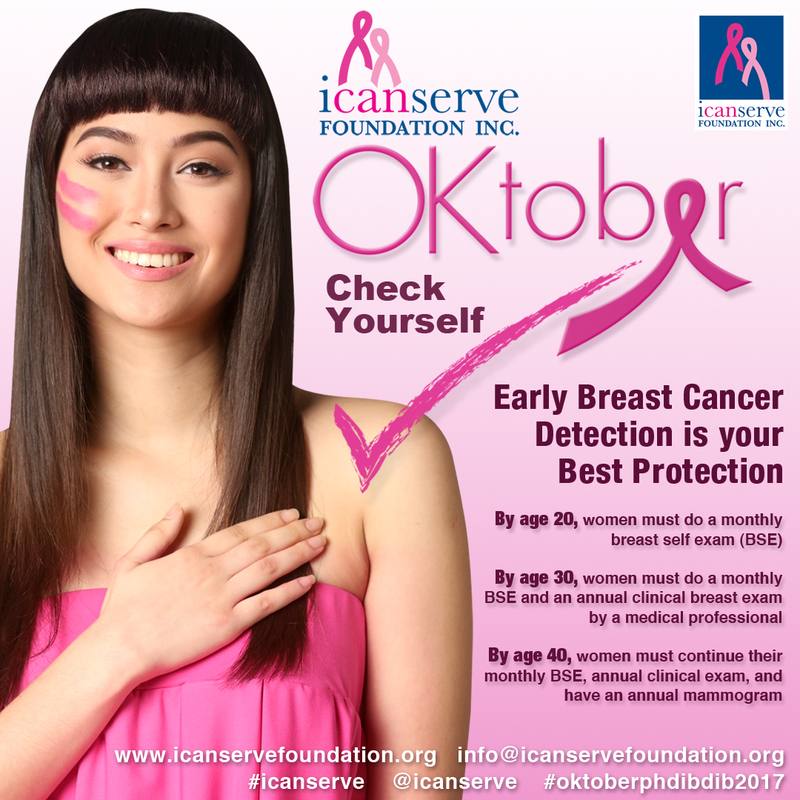 This collaboration with ICanServe is MIK’s corporate social responsibility project intended for the company and its network of sellers to reach out to the bigger community of women, including those involved with ICanServe as members, volunteers, advocates, supporters and beneficiaries.